Perming can significantly worsen the condition of the hair. After this procedure hair will need special care, which will help to restore their natural beauty, strength and healthy Shine. Perming is very popular among lovers of curls and bounce. Unfortunately, it really spoils the hair. In the process of iron they are treated with special chemical compounds that destroy their structure. After the procedure, especially if she was not very well done, the hair becomes dull, lifeless. 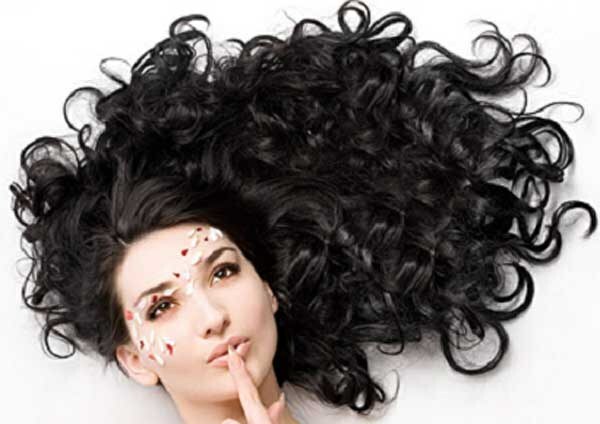 To restore the structure of hair after Curling, it is necessary to properly care for them. To wash my hair recommended ph-neutral shampoo. It is ideal for frequent use. Such products can be purchased in the salons of professional cosmetics. Some of them have special marks that this product is suitable for washing hair permed. Professionals suggest each time after using the shampoo, use a moisturizing balm. It is desirable that the shampoo and conditioner were from the same cosmetic series. In addition, 1 time per week preferably applied to the scalp, a special scrub. You should apply it with light massage movements, then the tool you need to wash your hair with shampoo. This procedure is an excellent prevention against the occurrence of dandruff. To restore the structure of hair will help hair mask. Apply the mask on the hair should be 2 times a week. After their condition improves, it is possible to apply the composition to the hair and scalp and 1 time a week. The finished mask can be purchased at the shop of professional cosmetics. Ideal in this case are cosmetics designed to moisturize and restore hair structure. Replacement of masks in industrial production can serve as moisturizing compositions, obtained in the home. For their manufacturing it is possible to use yogurt, aloe Vera, honey, burdock and olive oil and many other products. In the care of damaged and split ends, special attention should be paid to their tips. Permed they become brittle, lifeless. They must apply the special products that contain silicones. To do this it is recommended that at least 2-3 times a week. Damaged permed hair it is advisable to dry naturally. A Hairdryer can be used only on special occasions. After washing your hair should be slightly dry with a towel. Comb them in dried condition. Wet hair can easily be damaged. For combing hair is better to choose wooden comb with a few teeth. From round brushes with bristles is better to refuse. If the tips of the hair are very badly damaged, do not exert efforts for their recovery, so as to return to them live Shine and elasticity virtually impossible. It is better to trim the damaged tips hot scissors in the salon.